Find quick and easy your local 215P Sealed Single Row Radial Bearing … G Facilities deliver consistent, reliable global service expertise with local support. They are fully certified from our lead plants to carry out repairs and warranty service on G drive and control technology and support Field Service programs in many locations. They'll also make sure to use only factory-orginal parts, backed by G's best-in-class warranty. So you can be sure "Back to New" means exactly that. 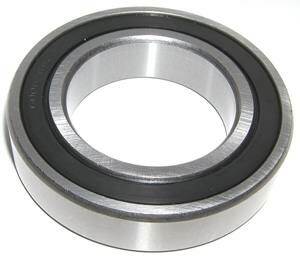 Bearing Wholesalers business thrives on inventory management and having the right 215P Sealed Single Row Radial Bearing that you, our customers or potential customers, need with the capability of delivering your order as quickly as possible. We are able to help you save money by restoring and remanufacturing old Single row bearing and motors that have been exchanged over the years. Not only do we offer our core exchange 215P Sealed Single Row Radial Bearing, we are continuously buying cores and surplus from the market to help keep our remanufactured inventory stocked. 215P Sealed Ball Bearing, Bearing inner diameter is 75mm, Bearing outer diameter is 130mm and Bearing width is 25mm, each bearing has 2 Rubber Seals to protect the bearing from dust or any possible contamination, Bearing is made of Chrome Steel, also bearing is pre-lubricated with grease.